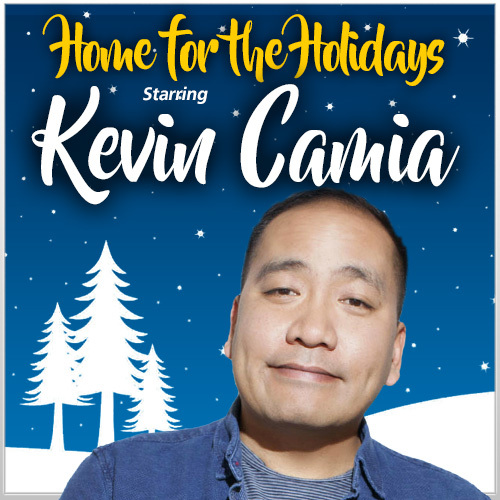 Starring headliner Kevin Camia along with a hilarious line-up of our favorite L.A., New York, and San Francisco Bay area comedians in town for the season. I'm a stand up comic from San Francisco now living in Los Angeles. Soon you'll be able to see me weekly on TBS' The Dress Up Gang. I've been on Comedy Central's Live at Gotham and Seeso's "The Guest List". I was voted Best Up and Coming Comic at the Rooftop Aspen Comedy Festival, selected as a Comic's Comic on Esquire.com and my first CD Kindness was voted Top 10 Comedy Albums of 2010 on iTunes. I've headlined 4 sold out shows at Just For Laughs Toronto, and have performed at The Outside Lands Music and Arts Festival, RiotLA, The Oddball Comedy & Curiousity Festival, SF Sketchfest, Small Town Comedy Festival and The San Francisco Comedy and Burrito Festival! I've written for "Danny From LA" on MNETAmerica, MTV's "Ridiculousness", and the "The Funny Drop" w/ Frankie Quinones, a web-based channel Mas Major produced by Broadway Video and NBC Universal.